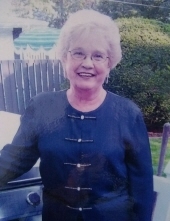 Patricia A. Phipps (Nee Bober), age 79, of Munster, IN passed away on January 25, 2019. She is survived by her loving children: Linda Phipps and Paul Phipps; grandchildren: Justin, Christopher, and Matthew Phipps; mother of the grandchildren: Stephanie Castillo; siblings: Judith (Michael) Mastey and Wally (Late Linda) Bober; nephews: Christopher Mastey and Jed Bober; nieces: Janet Meyer, Michelle Pramuk, and Becky Rochford; and many great nieces and nephews. She was preceded in death by her parents: Bernard and Stephanie Bober, former spouse: Robert Phipps; and nephew: David Mastey. Visitation with the family will be on Wednesday January 30, 2019 from 4-8 p.m. at Burns-Kish Funeral Home, 8415 Calumet Ave. Munster, IN. A Mass of Christian Burial will be held on Thursday January 31, 2019 at 12:00 p.m. DIRECTLY at St. Thomas More Church, 8501 Calumet Ave. Munster, IN. To send flowers or a remembrance gift to the family of Patricia A. Phipps, please visit our Tribute Store. "Email Address" would like to share the life celebration of Patricia A. Phipps. Click on the "link" to go to share a favorite memory or leave a condolence message for the family.